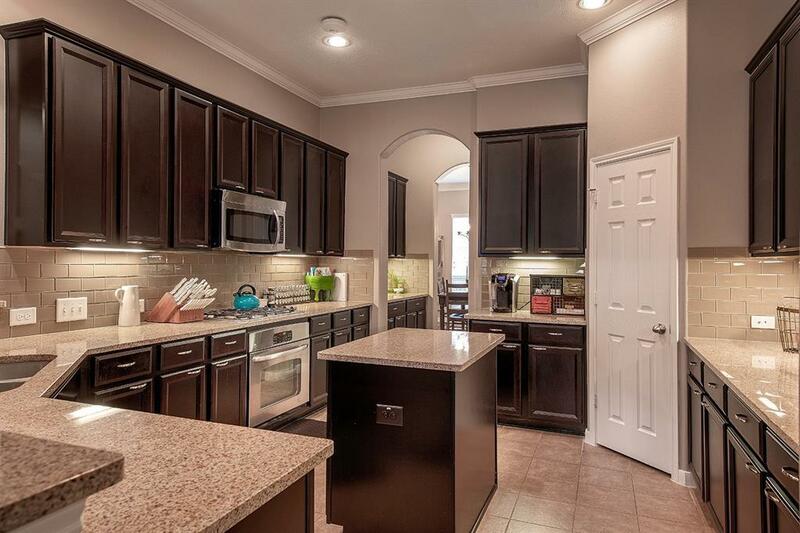 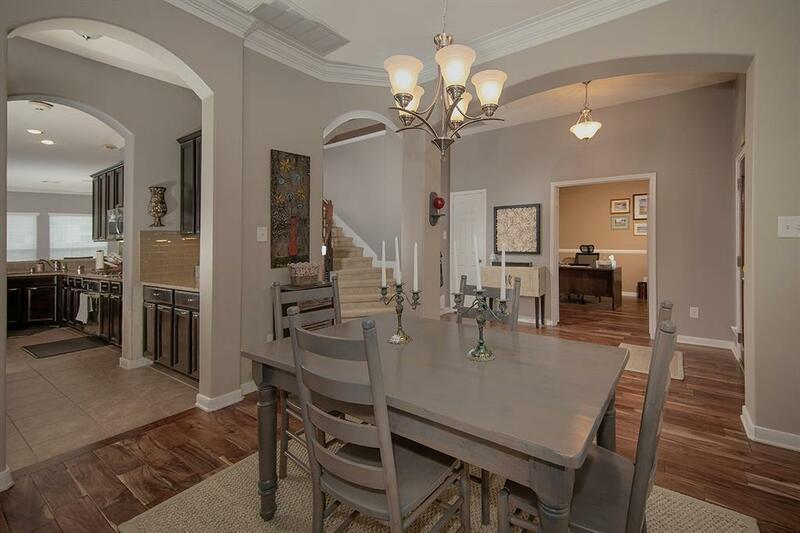 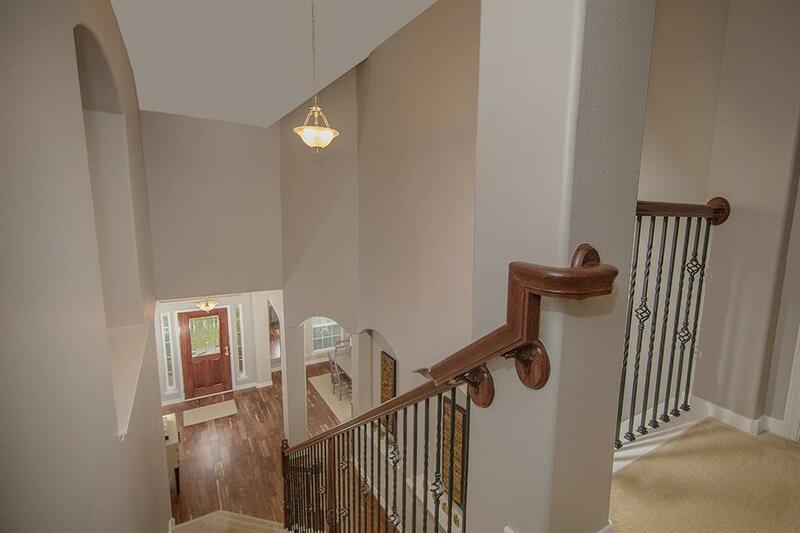 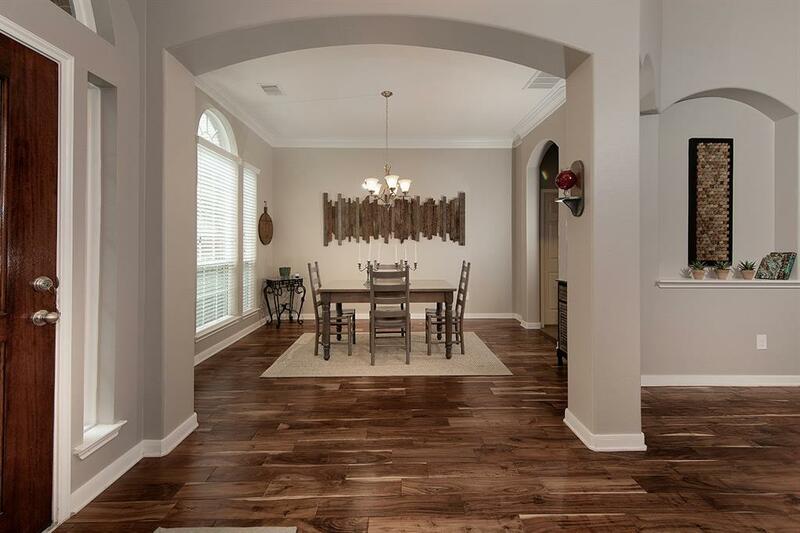 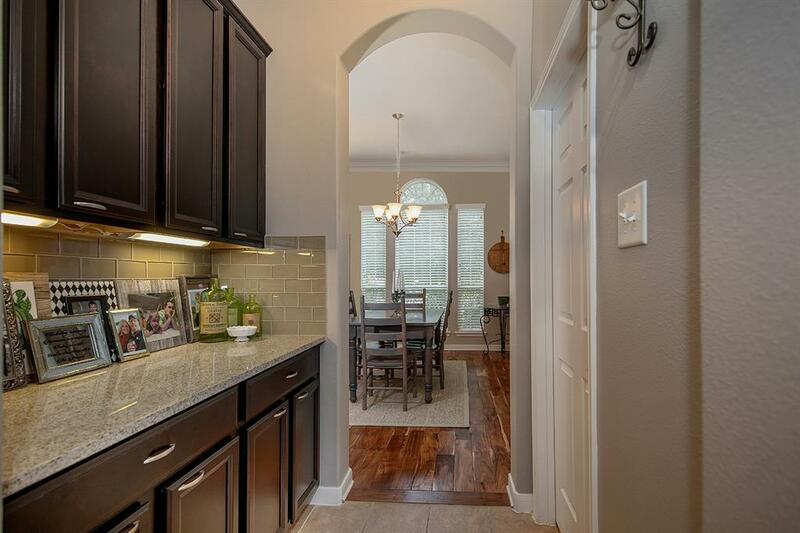 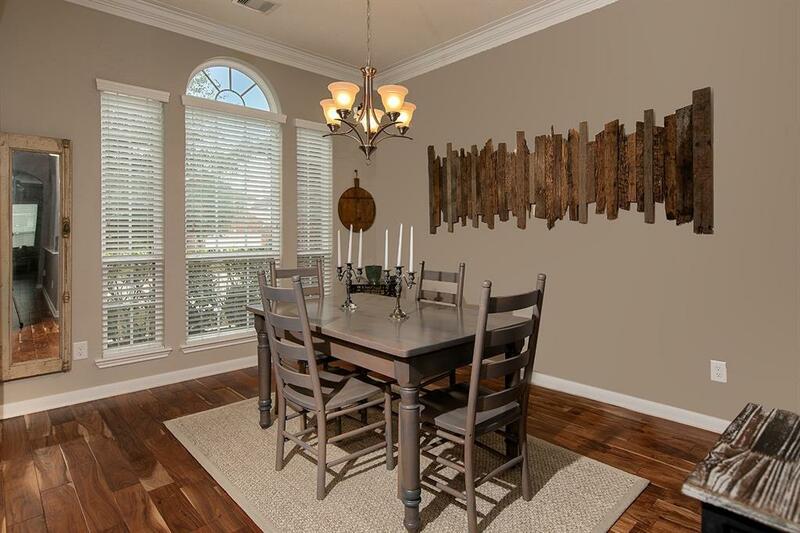 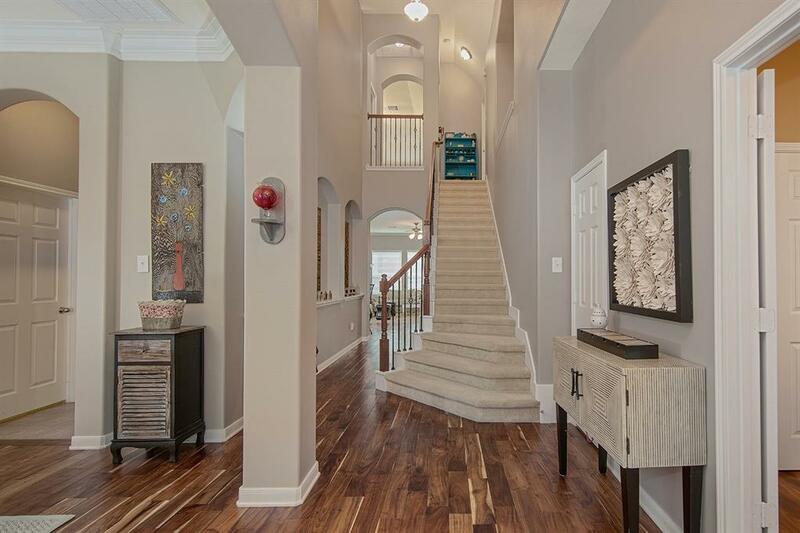 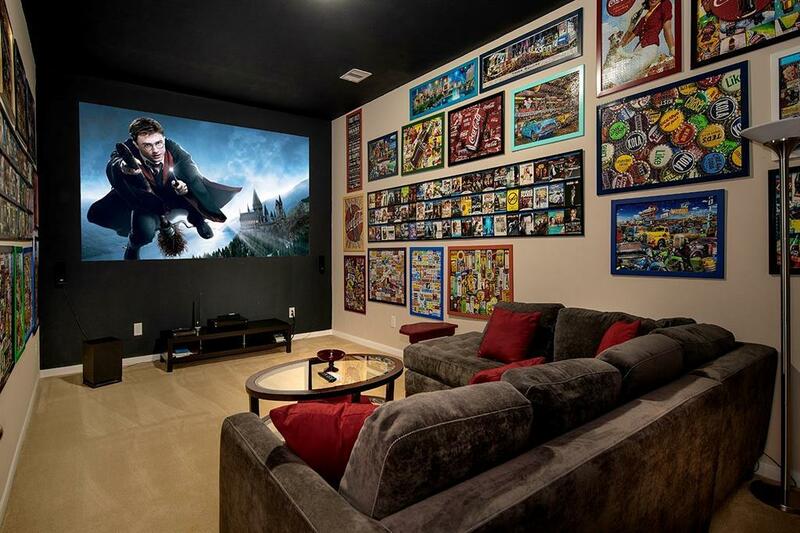 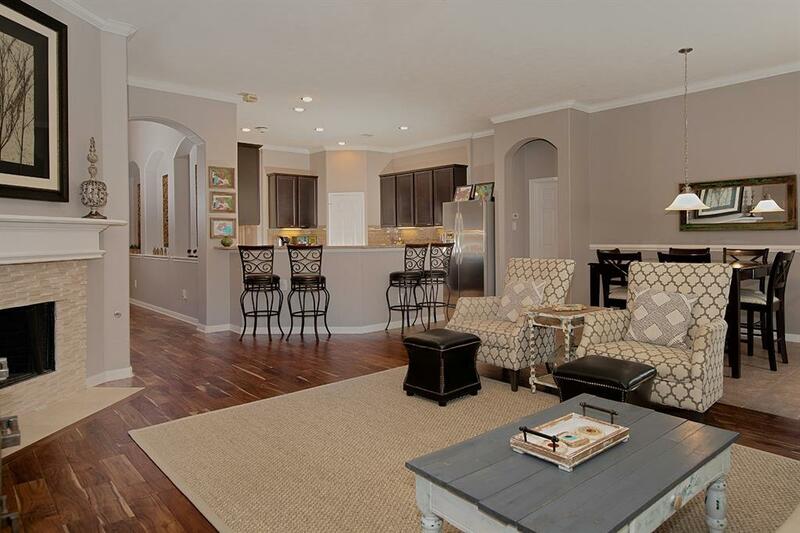 Impeccably updated 1.5 story home in the gated community of Canyon Gate at Legends Ranch! 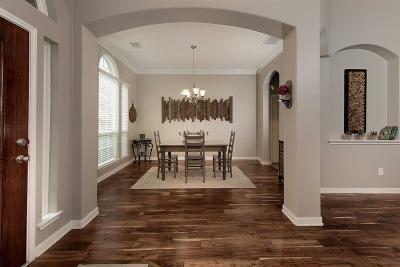 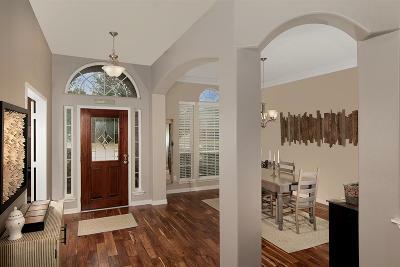 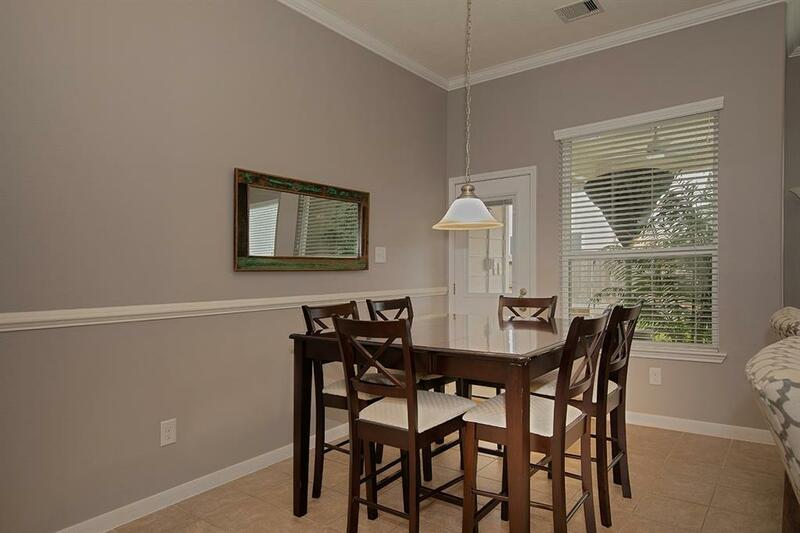 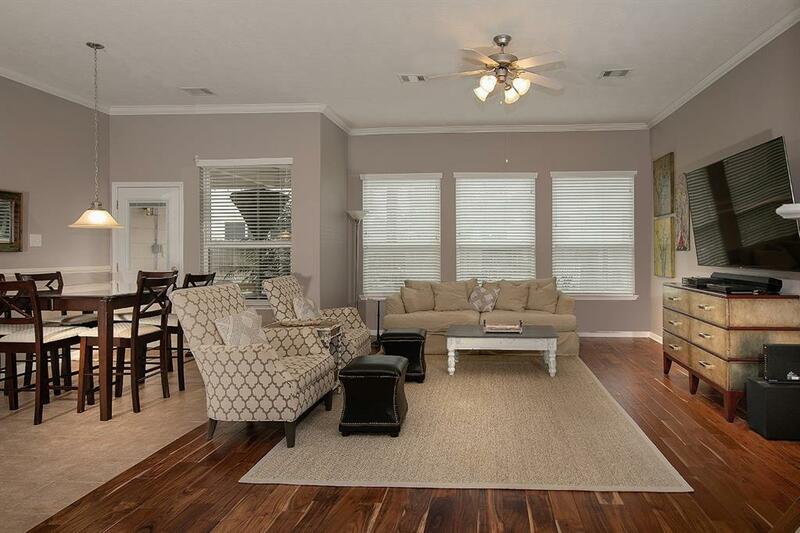 Stunning hardwood floors, high ceilings, crown moulding, abundant windows, and a soft, neutral paint palette throughout. 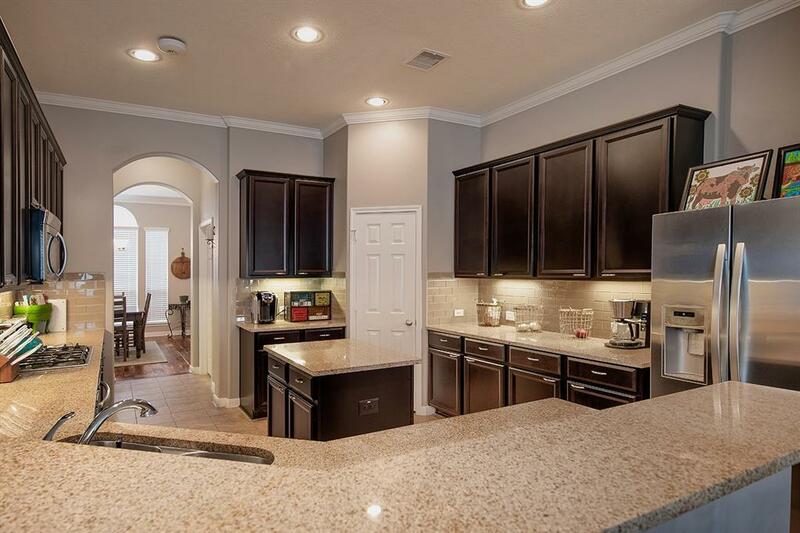 Whole house surge protector; open concept island kitchen with butlerâs pantry, gorgeous glass subway tile backsplash, stainless steel appliances, granite counters, breakfast bar and beautiful 42â cabinets overlooks breakfast room and den with cozy gas log fireplace; elegant formal dining and private study (could be 4th bedroom); spacious master retreat and two bedrooms down; game room, media room (equipment included) and full bath up; two car attached garage with shelving and Epoxy floor; fenced yard features large covered patio with ceiling fans and plenty of room to entertain! 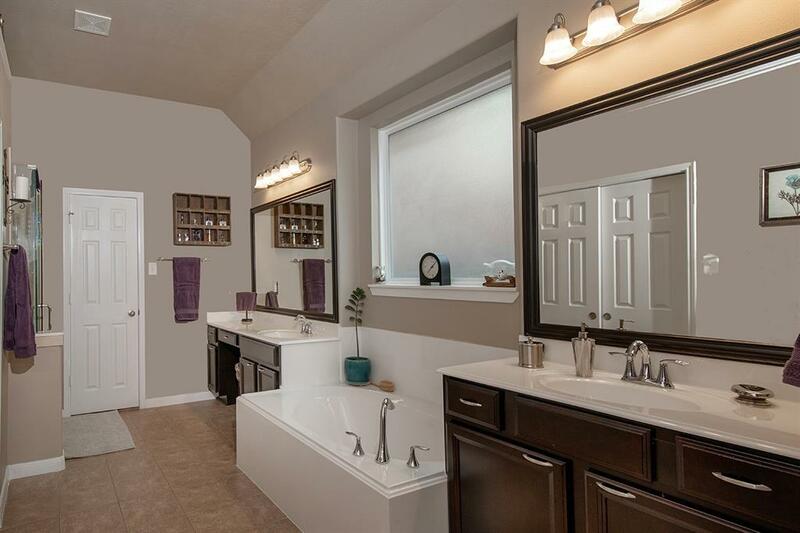 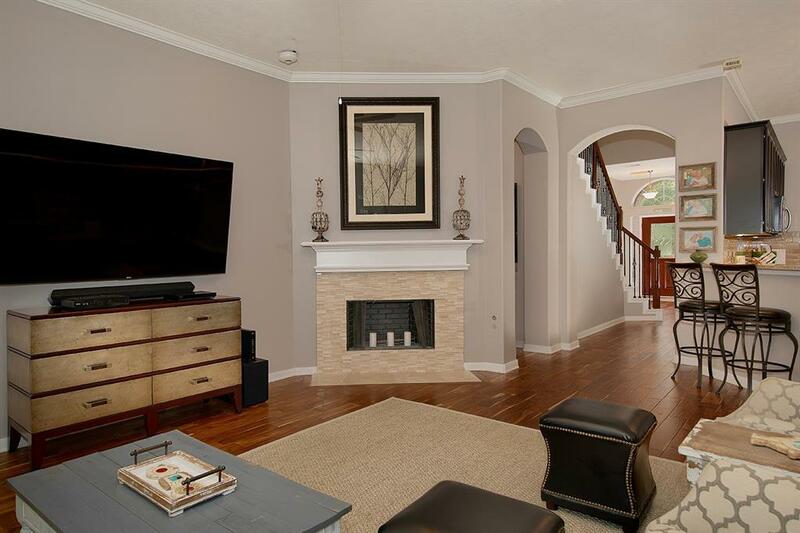 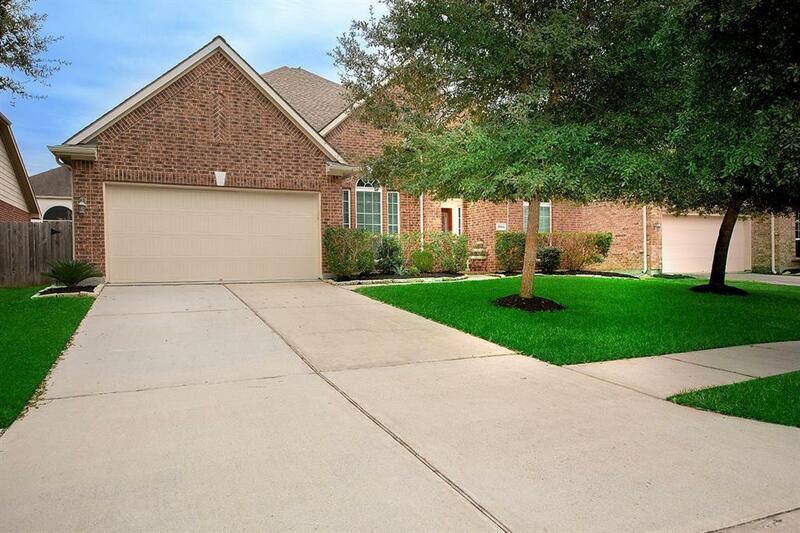 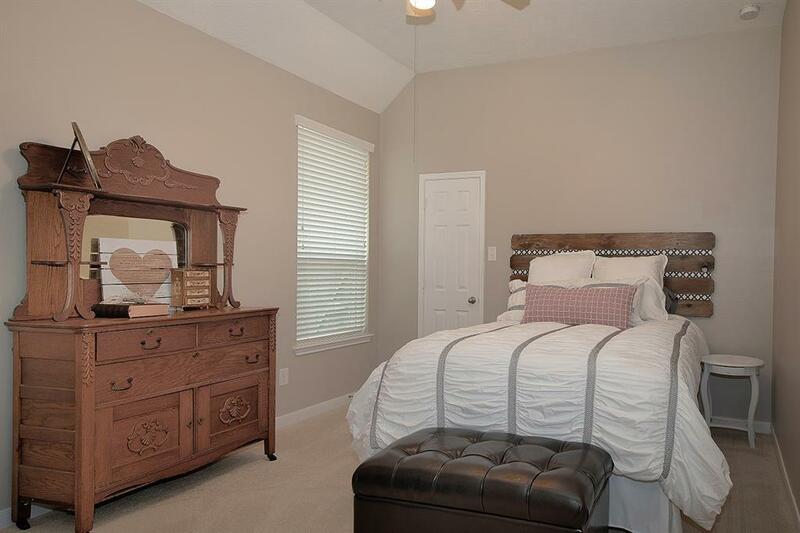 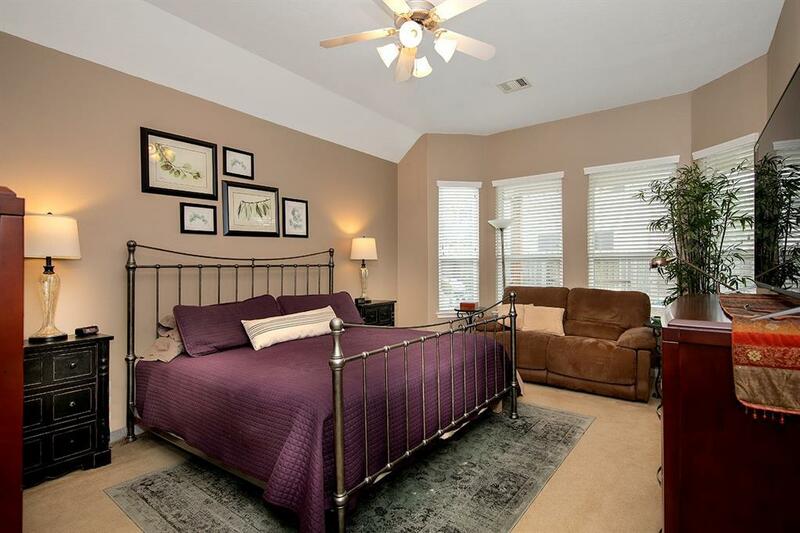 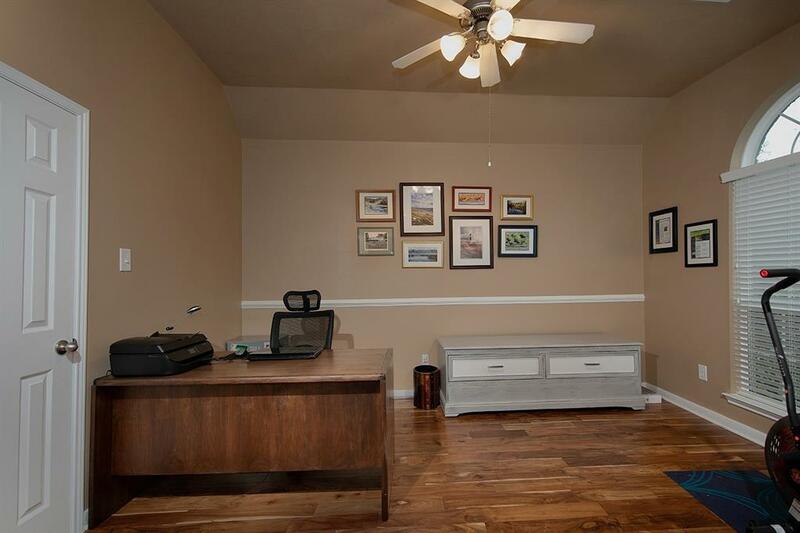 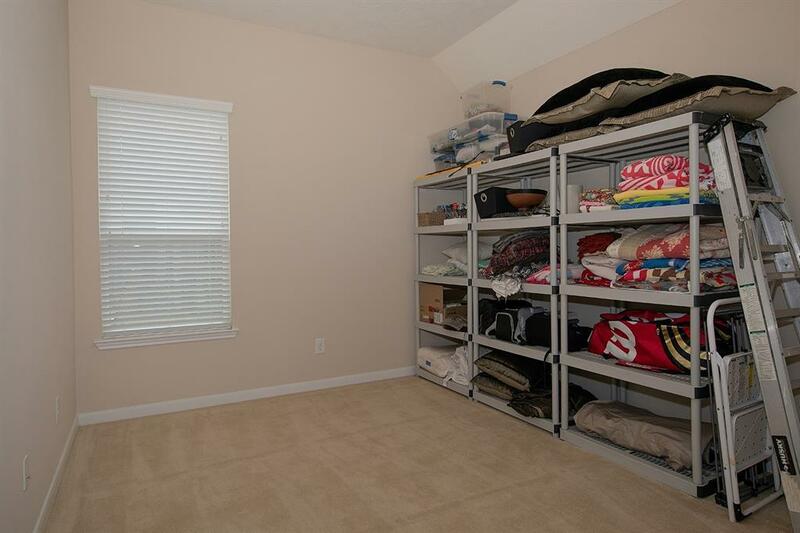 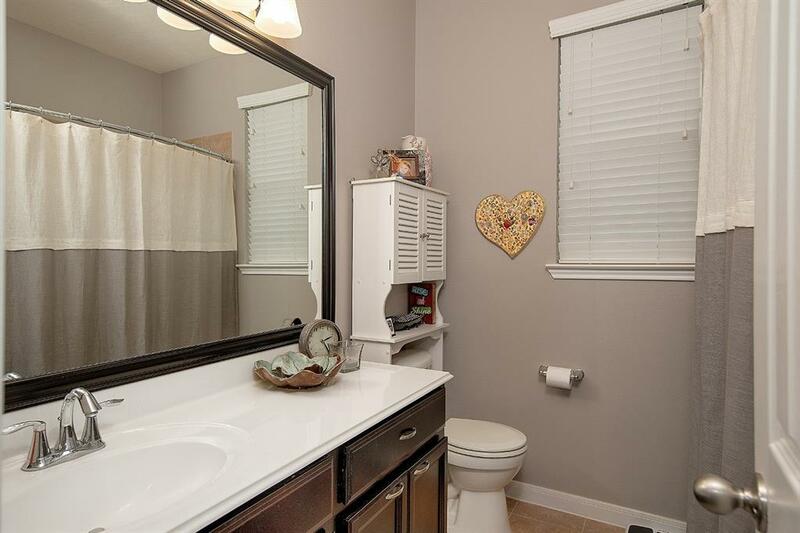 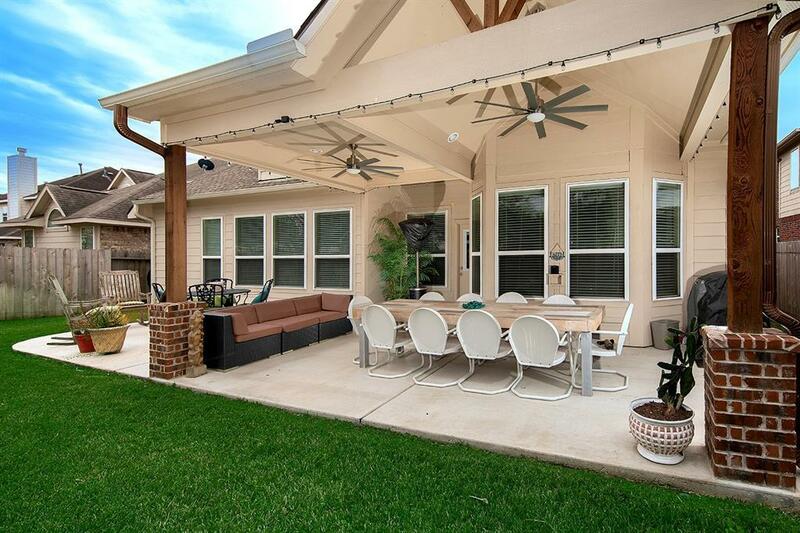 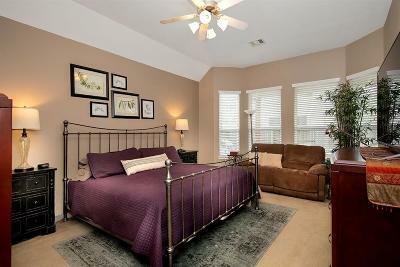 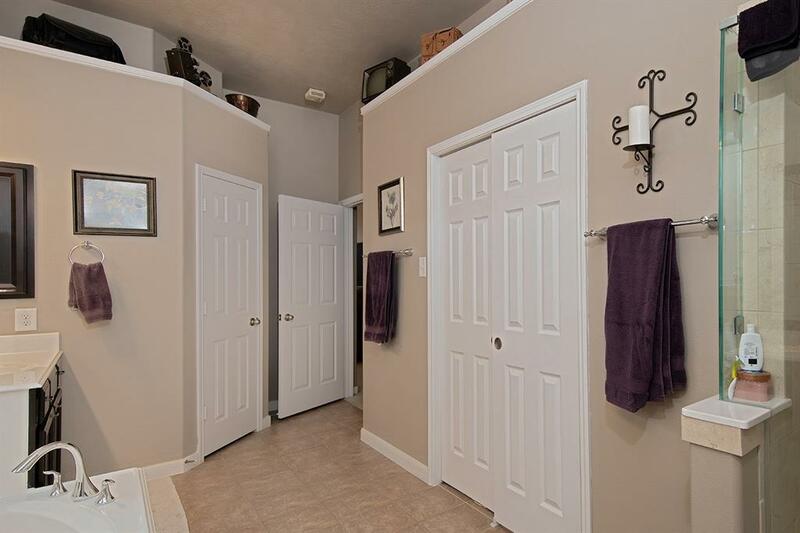 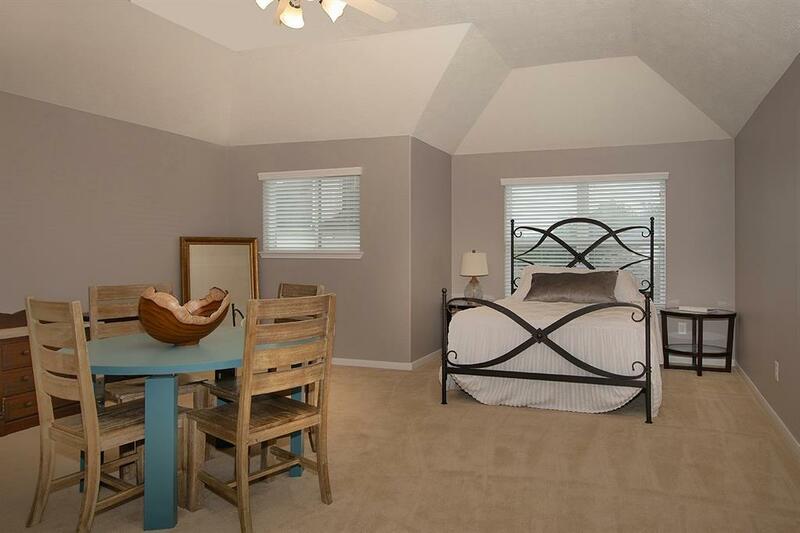 Close to neighborhood parks, pools, lakes, trails, fitness center and clubhouse. 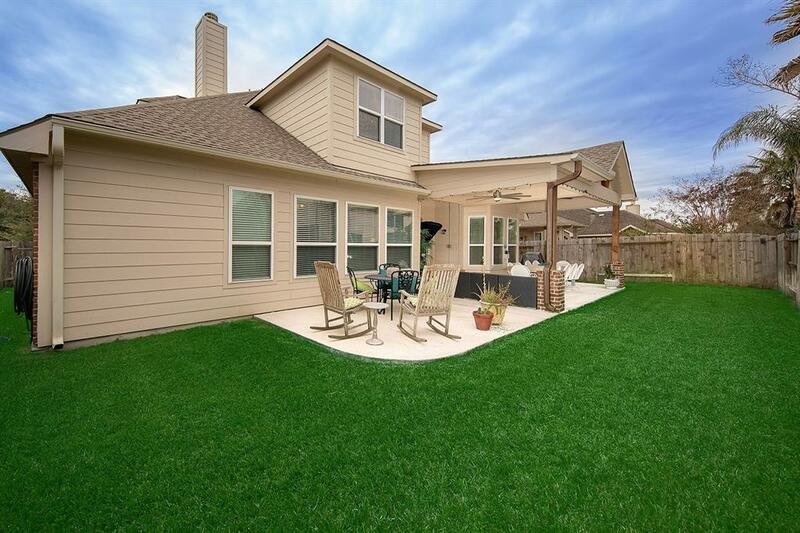 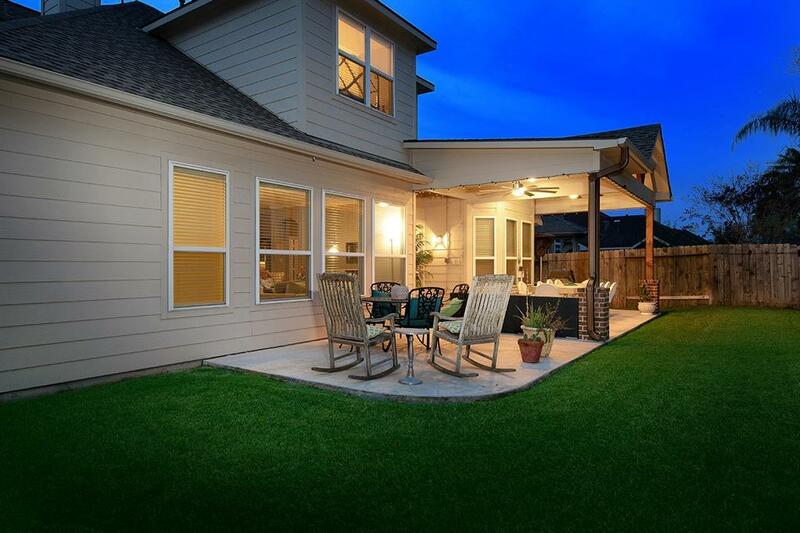 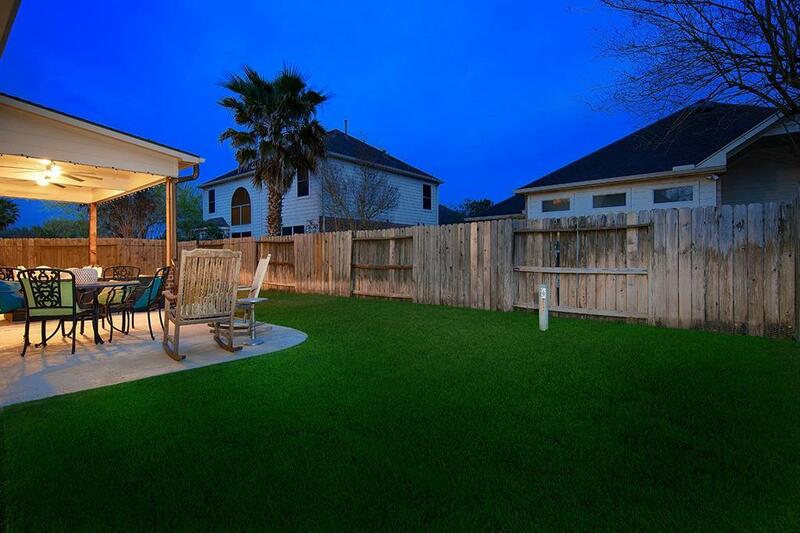 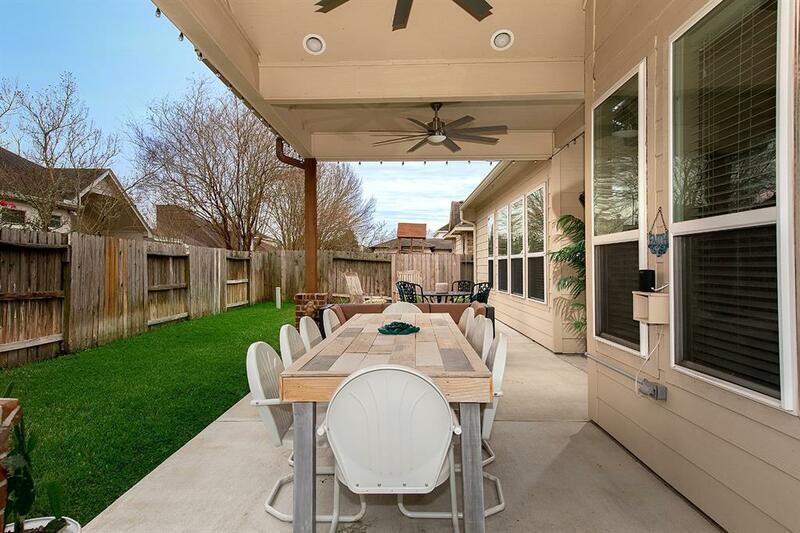 Just minutes from the Grand Parkway and I-45! 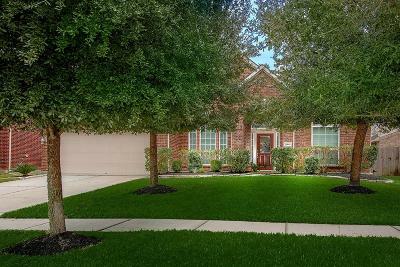 Directions: I-45, East On Rayford, Left Onto Canyon Ranch Drive, (Manned Gate), Right Onto Legends Ranch Drive, Left Onto Legends Ridge Drive, House On The Right.